Logitech is well known for their range of peripherals, and this time around, it would be the home security camera which would be their device of choice that will grace your home. It will not be a gaming peripheral, but rather, something that offers you added peace of mind whenever you are on the move. It could be that you are living alone or have a family, it does not matter. 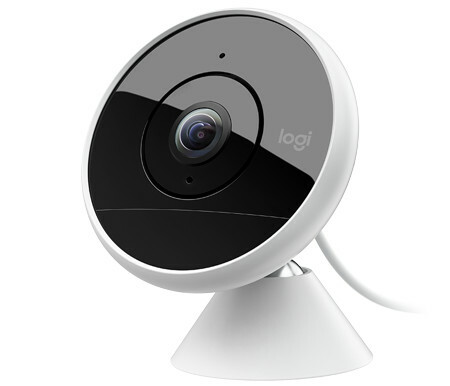 The Logitech Circle 2 will allow you to feel more connected to both home and family, where this home security camera has been specially designed to work just about wherever you want, whether indoors or outdoors. You might want to keep tabs on your pet, or just see whether anyone is snooping around your bedroom, the Circle 2 gets the job done. The Circle 2 is a natural evolution of Logitech’s original Circle camera, where it delivers best-in-class features such as unlimited 1080p HD streaming, night vision, 180 degree wide-angle lens, and two-way talk and listen. Each Circle 2 camera will arrive with 24-hours of free, secure bank-level encrypted cloud storage, and if you feel that this is not enough, fret not. Logitech offers two other Circle Safe plans. Circle Safe Basic will deliver 14-days of storage while Circle Safe Premium offers 31-days of storage, in addition to other features like custom Motion Zones and Person Detection. The Circle 2 sports both Wired and Wire-Free options, and you can also use it on its own or have it paired with accessories that have been customized to fit different use cases or locations. Mounts include a Window Mount and a Plug Mount, and if you would like the Circle 2 to monitor the outside area, there is the Weatherproof Extension. This Weatherproof Case would make sure that all of the cables are safe from outside weather conditions, and the Wire-Free camera’s battery can be swapped with a Rechargeable Battery that is able to last for up to three months.